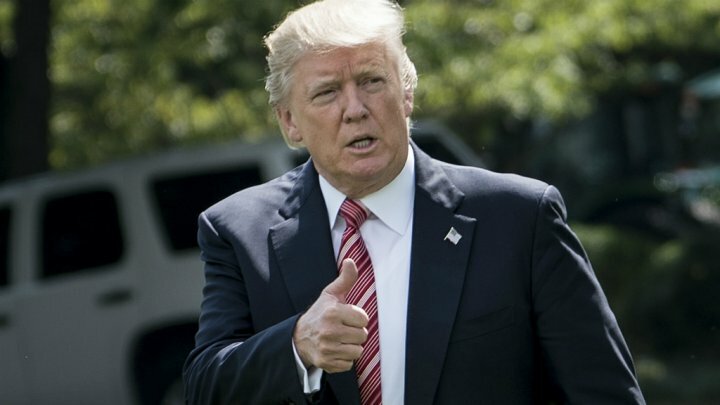 President Donald Trump is planning to replace his soon-to-expire travel ban on people from six Muslim-majority countries with a new one tailored on a country-by-country basis and affecting slightly more nations, U.S. media reported on Friday. Senior officials from the Department of Homeland Security, White House, State Department and Justice Department were due to brief reporters on “enhanced global security measures” on Friday with information to be made public at 5 p.m. (2100 GMT). Trump’s six-nation travel ban, laid out in a March 6 executive order that was blocked by federal courts before being allowed to go into effect with some limits by the U.S. Supreme Court in June, is scheduled to expire on Sunday. The expiring ban blocked entry into the United States by people from Iran, Libya, Somalia, Sudan, Syria and Yemen for 90 days and locked out most aspiring refugees for 120 days to give Trump’s administration time to conduct a worldwide review of U.S. vetting procedures for foreign visitors. The review also was intended to determine which countries presented particular security threats. The existing refugee ban expires on Oct. 24. The Wall Street Journal, quoting people familiar with the process, reported that the president’s forthcoming order, rather than completely banning people from the countries on the new list, would set up restrictions that differ by nation, based on cooperation with American mandates, the threat the United States believes each country presents and other variables. “The Trump administration will ensure we only admit those who can be properly vetted and will not pose a threat to national security or public safety,” a White House official said without providing details of the planned order. It was not clear how many countries would be listed in the new order. The New York Times reported that DHS initially identified more than six countries that were not complying with security standards that could block terrorists from entering the United States. U.S. officials notified those governments that travel to the United States could be severely limited if they did not toughen their security standards, the Times reported. The new rules would not have a stated end date, with countries facing the potential of being added or removed from the list at any time, according to the Journal.